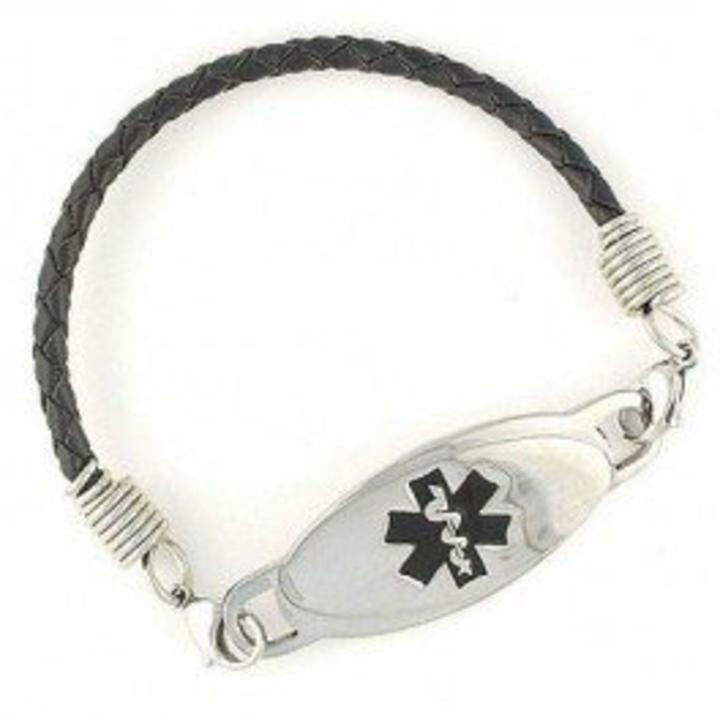 The Black Braided Leather Medical Alert Bracelet is a great bracelet for men. Just a simple combination of a black braided leather band and a stainless steel medical id tag.This medical id tag ID is 2" by 3/4" and is better suited for men and those with larger wrists. Engraving is on back in black laser up to 4 lines.